On first glance, this seems a silly title for this post. 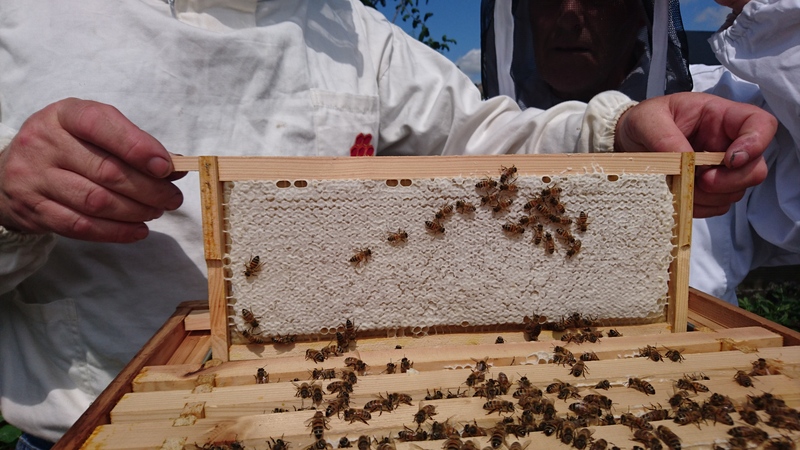 Anyone who has been following this blog will know the hives have been on site for over a month and I have been regularly helping with the weekly hive inspections. But today was different. Today I did the hive check! Well, not all of it but I was in full Bee keeping suit and was in charge of checking the brood box of the hive on plot 49 (the feisty colony). It was really interesting to do as I could see so much more when doing it myself. 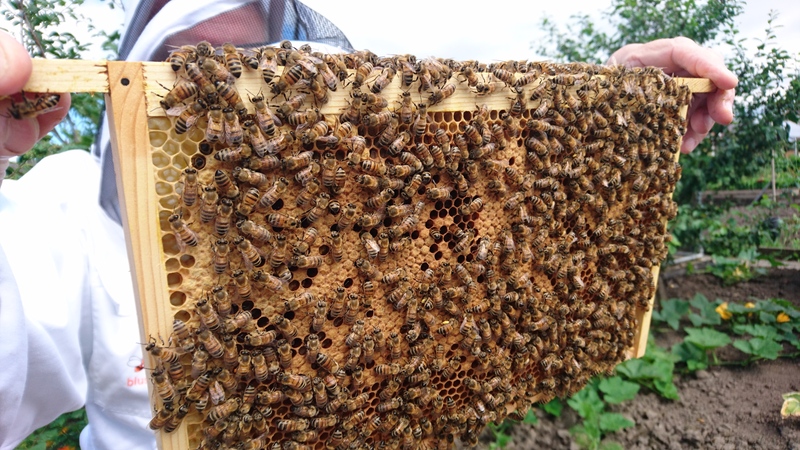 Things like spotting larva hidden in the hexagonal comb was nearly impossible to do when someone else was holding the frame. Steve supervised whilst Phil and I completed the checks. The additional brood box seems to have had an excellent calming effect on the larger colony. 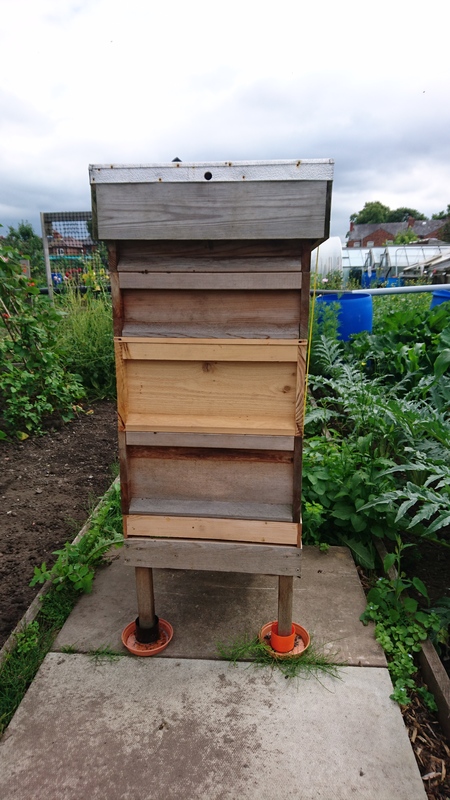 The down side is that the hive is significantly taller and I would struggle to dismantle and reassemble it single handedly. 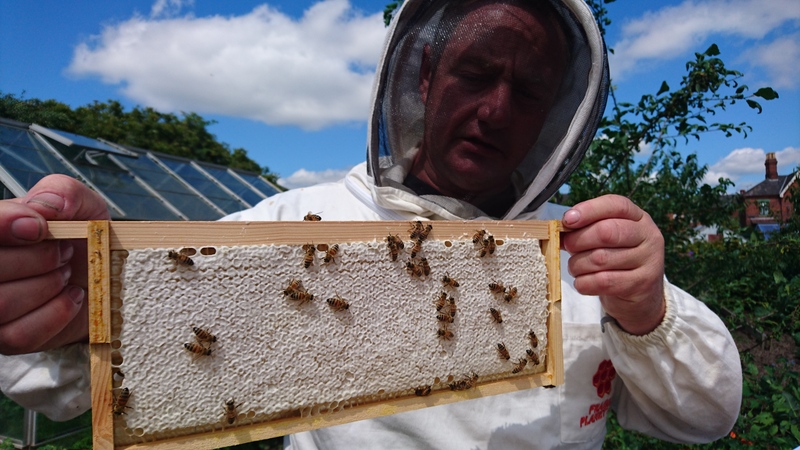 The honey stores are growing quickly and Steve reckons we can collect some honey next week! 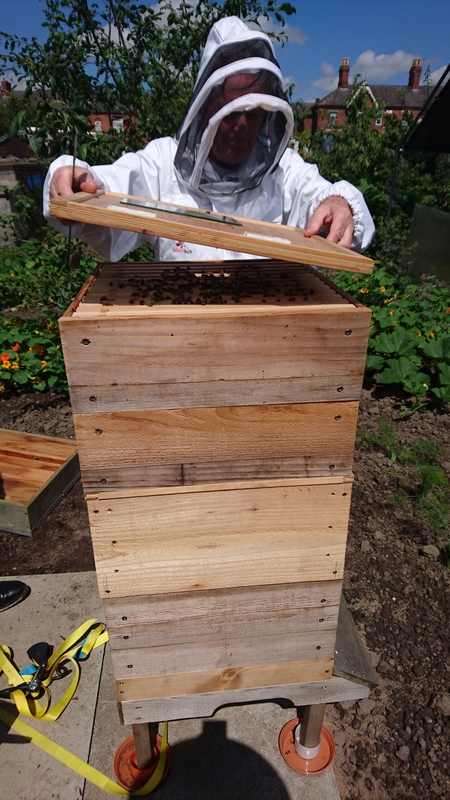 The extra super has been put above the brood box with the full super on top to trick the bees into creating more honey stores. We won’t be extracting lots of honey as it is a vital food supply to keep the colonies alive over the winter. But we should be able to extract enough honey for several jars! 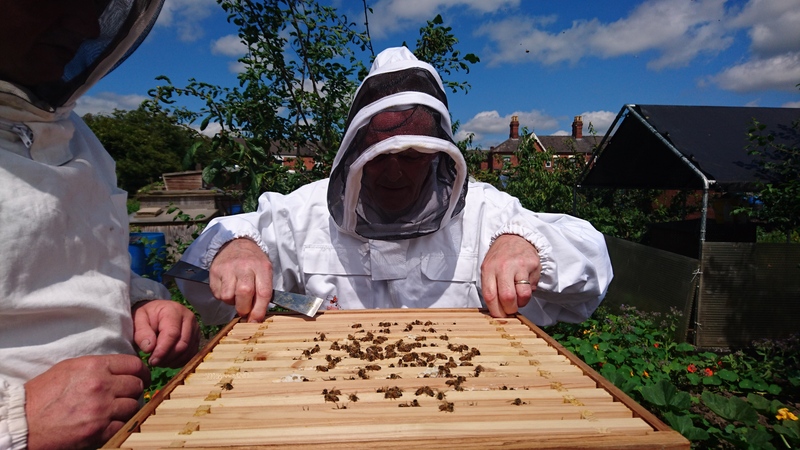 Steve and Phil have bought a honey extractor which holds four frames. The wax caps on the honey are removed and the frames placed into the extractor. The rotation spins out the honey which is collected at the bottom. Steve is insisting on hexagonal jars to keep it in. I completely agree!